TEXT:Ember is the essence of magic, the keystone of my art. 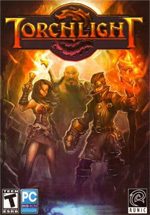 For my kind, Torchlight is a beacon, a place of power, the largest cache of Ember ever found. I had heard nothing of the troubles afflicting that place.\n\nI came only to serve my own ends, but I was lost as soon as I set foot in Torchlight. The evil gathering there swallowed me, and I may never break free of it entirely.\n\nThe mines are dark, and below that, the blackness is impossible to describe. There is power beyond imagining, but the price is so very high. TEXT:Destroying evil is its own reward, but I think I have earned a promotion for this victory. Although the Vanquishers are a secret order, my king will hear that I was responsible for Ordrak's defeat. \n\nSoon I will return home, but there are still treasures below Torchlight that could aid us in the battles to come. I sense a tide of darkness will soon be upon us, I will be prepared to meet it. TEXT:The disturbances in Torchlight were more severe than I'd expected - though I must admit I felt a bit relieved. Petty assignments often signal the end of a Vanquisher's career.\n\nI came to restore the flow of Ember - but the darkness below Torchlight ran far deeper than the mines.\n\nIt would be a test of both my skill and conviction. Evil must be torn out at its root, and this one had buried itself deeply. TEXT:- Remnant from Alric's Journal - \n\nI've arrived in Torchlight and begun my exploration of the tunnels below. These mines are vast and aglow with Ember; I've never seen so rich a vein. Miners labor to extract it, and take no heed of my warnings.\n\nI cannot blame them; I too could not resist the pull of Ember.\n\nThis Ember is the same as that which afflicts me. The taint within it resonates with the corruption in my bones. I can feel it so clearly now, blight springs from the depths and flows up through the veins.\n\nTo purge myself of this evil, I must find the source. TEXT:- Remnant from Alric's Journal - \n\nThe miners chip their way down through the rock, unaware of the tombs below. When they finally break through, I hope they are wise enough to flee, collapsing their tunnels behind them.\n\nThis vault was rightly sealed; it was an experiment as ill-fated as my own. Their ancestors are animated not with life, but with the same dark energy that flows through the Ember veins. Separating out the vileness is impossible. Immortality lies forever beyond our reach.\n\nI was a fool to think otherwise. TEXT:- Remnant from Alric's Journal - \n\nThe beauty of these sunken gardens shines through an age of dust and decay. Why did they fall to ruin? Could the same corruption that affects me now be responsible for this centuries old destruction?\n\nThe thought that this blight could be so ancient unnerves me, but if it consumes me I must go deep enough that I can never escape to do harm.\n\nAnd, there is still hope. A fool's hope, but I cling to it. TEXT:- Remnant from Alric's Journal - \n\nWater pours from the ruins above and falls down into oblivion. These caverns are lost to time, primal. The Ember veins change as I descend- shifting colors, first hidden, then gleaming and glittering. It fascinates me now as it did when I was young.\n\nEven the blight seems more pure here. My experiment may have succeeded if I had used Ember from deeper in the mountain, closer to the source. There is still the corruption of course, but with endless life that becomes a small matter.\n\nPerhaps I will gain more here than I ever imagined. TEXT:- Remnant from Alric's Journal - \n\nFor hours I could feel the heat building. The rock beneath my feet grew warm, and sulfur burned in my nostrils. As I squeezed through the crack in the rock I expected to see lava, but still I was unprepared.\n\nThe glow of bubbling rock blinded my cavern adjusted eyes, and when my vision cleared I saw what I at first took to be a fortress. I now know it to be a prison, set upon pillars of rock in a molten sea.\n\nWho could build such a thing? What could require such extreme incarceration? I am grateful that both prisoners and wardens have long since turned to dust. TEXT:- Remnant from Alric's Journal - \n\nThe dwarves were consumed both from below and from within. Ordrak's minions assaulted the fortress, and his essence flowed through the Ember and turned them to his side. The remains of the battle are all around me, but my understanding comes from the Ember. He speaks to me through the veins, and I cannot shut my ears to his voice.\n\nDespite his immense strength, Ordrak cannot leave the source of his immortality. His essence reaches out through the veins and corrupts without purpose.\n\nSuch power could transform the world, if only it were freed from this mountain. TEXT:- Remnant from Alric's Journal - \n\nI have basked in his presence. The voice in the Ember is only a shadow of Ordrak's true glory. I find now that I have no desire other than to serve him, and to show his glory to the world.\n\nMy years of study are nothing to Ordrak's vast centuries dwelling in Ember, but still my knowledge sometimes surpasses his. His spirit infuses the Ember, it could be concentrated further, bringing his voice to the world.\n\nSyl will see the potential. Together, we will free Ordrak from this mountain. Kingdoms will kneel before us, blinded by the radiance of our ascendancy! None will dare question the virtue of our art, or the power of Ordrak.